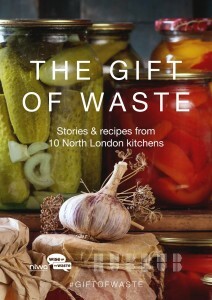 The Gift of Waste is a short book about Londoners’ varied approaches to cooking and reducing food waste, including recipes, useful tips and stories which stretch from their London kitchens to Pakistan, Ukraine, Tanzania and beyond. It was commissioned from environment charity Hubbub by the North London Waste Authority and produced in association with the SOAS Food Studies Centre. To complete the project I spent many happy hours in north Londoners’ kitchens quzzing them about their approaches to food waste and wider culinary practices and beliefs. It was a fascinating project which I believe has influenced my own food habits. The Gift of Waste: Stories and recipes from 10 north London kitchens (2015) – download here.